Strolling of the Heifers Launches 2014 Culinary Competition: Bread Pudding! Amateur and professional chefs, tie on your aprons! It’s time to gear up for the Stroll’s annual culinary competition, this year featuring that good old-fashioned comfort food, bread pudding! 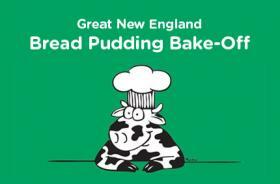 Now’s the time to start perfecting your bread pudding recipe, whether it’s a family heirloom handed down from your great-grandmother, or something you dreamed up and perfected yourself, and get it ready to enter in the Strolling of the Heifers Great New England Bread Pudding Bake-Off. This year’s event will showcase bread pudding as an easy, economical and delicious dessert, and as a healthy alternative to processed commercial desserts. Contest finals will happen at the Stroll’s new home at the Robert H. Gibson River Garden, downtown Brattleboro.Bread pudding is defined as a baked sweet dessert, comprised of bread baked in a custard. It may consist of any kind of bread, milk and or cream, eggs, fruit or any number of other ingredients. For the competition, you’ll want to use ingredients that are locally or regionally produced whenever possible — the Stroll’s judges are big on locavorism! Why organize this bake-off? “Strolling of the Heifers helps the public understand where their food comes from. Sustainable, local food is not just healthy and delicious, but it is also easy to use to provide meals for our families. This contest is another way we make that point.” said Orly Munzing, the Stroll’s founder and executive director. In addition to their recipes, contestants will be asked to “tell the story” of their entry: If they created it, what inspired them? Or is it a family dish? Was it a secret pried from a relative? An accidental discovery? All awards will be announced on Friday evening, June 6th during the Gallery Walk Street Festival, part of the Strolling of the Heifers Weekend. During the Street Festival, the public will have a tasting opportunity at the River Garden in order to choose their preference for the People’s Choice Award. At the conclusion of the judging, traditionally Vermont’s Governor Peter Shumlin has been on hand to announce the winners from the Main Street entertainment stage. 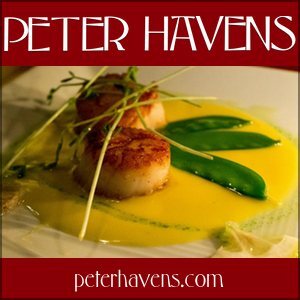 Both professional and amateur chefs are invited to enter. New England-sourced breads, eggs, cheese and other dairy products are encouraged, and all ingredients should be as fresh and local as possible. All entries must be submitted using an online entry form posted on www.strollingoftheheifers.com/breadpudding/, or snail-mailed to Strolling of the Heifers to arrive no later than midnight, Friday, May 16. Up to 10 finalists will be notified by May 22. Those finalists will be asked to prepare in advance, fully bake and chill their bread pudding in a disposable 8”x12” foil cake pan (available in supermarkets) and bring it to the judging, which will take place on Thursday evening, May 29 (not open to the public). Finalists will be notified of exact location. Finalist recipes will then be adapted for preparation in a commercial kitchen, and will be cooked in quantity by Brattleboro Memorial Hospital. These will be brought to the River Garden on Friday evening, June 6, where the community judges will have their opportunity to taste the finalist recipes during the Street Festival, and vote to select the “People’s Choice” award winner. Winners will be announced at about 7:00 p.m. that evening from the entertainment stage on Main Street. Finalists are encouraged to attend. 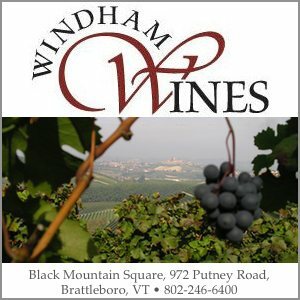 Professional judges will be recruited from Brattleboro’s extensive farm, food and culinary community. For more information, complete rules and online entry form, please visit www.strollingoftheheifers.com/breadpudding/. Strolling of the Heifers was founded in 2001 with the goal of helping to save and sustain family farms by connecting people with healthy local food. It does this through it’s signature event, Strolling of the Heifers Weekend (June 6-8 this year), featuring the world-famous Strolling of the Heifers Parade on Brattleboro’s historic Main Street. The organization is currently launching its Farm/Food Innovation Center at its new headquarters, the Robert H. Gibson River Garden in downtown Brattleboro. Annually, Strolling of the Heifers also presents the Slow Living Summit conference in Brattleboro, a conference exploring sustainable living and resilient, connected communities; the Vermont Farm/Food Business Plan Competition; and the Locavore Index, a ranking of US states in terms of their commitment to healthy local food. On the Web: www.strollingoftheheifers.com, www.slowlivingsummit.org. For those entering, don’t be too constrained by the call for local ingredients. Our sandwich of entirely local ingredients lost out to one made with peanut butter a few years ago. It was “Vermont” peanut butter, but the peanuts were from down south. After a bit of discussion, Nan fromt Vermont Quince and I will be partnering up for this one. I’ll do the bread, she’ll handle the pudding. It seems a little odd that this is being limited to ‘dessert” type bread puddings when there are some delicious savory bread puddings to enjoy. Also odd that they want them chilled – bread pudding is at it’s best slightly warmed or at least at room temperature. What else is odd is that if your recipe and dish are chosen as a Finalist, that the dish you will be judged on is to be made by someone else. Is this how previous years’ bake-offs have worked? Full Disclosure: I was as a Chef at BMH from 2006 to 2010 and don’t recall preparing anyone’s Bake-off recipe for judgement in those 4 years. I think in the past the competition has been for things like bread and sandwiches (if memory serves me correctly) I agree that having your recipe cooked by someone else is a little odd. Also, often times increasing recipes to feed large quantities of people sometimes changes the dish quite a lot. I hadn’t picked up that the competition was being limited to desserty bread puddings so had been considering all kinds of savory combos in addition to sweet. I guess I’ll focus on the latter now. 😉 I surmise the ‘chilled’ requirement is to address food safety issues associated w/ dairy & eggs. Maybe the judges will zap the puddings before tasting? I would hope that the judges would not microwave any of these bread puddings. It would absolutely destroy the integrity of the dish -making it gummy and generally gross. I have brought warm/ hot dishes to various events with no issues. It just takes a little more planning. Even room temperature would be better than chilled – it’s just better flavor and texture.